February is Jewish Disabilities Awareness Month. A few years back, when I was writing, “Puzzled: Raising a Child With Autism & Other Pieces of Family Life” I shared these reflections. In addition to being on my blog, I was invited to share them once again with Jewish Family & Career Services. I just rediscovered it on their blog, and believe it to still be a timely & meaningful message. I hope that you will think so too. Because the values of inclusion, awareness & acceptance should be lived out every day in our synagogues. Faith has always been an integral part of our family life. From the time our children were very young, we shared with them the traditions and beliefs that were a part of their Jewish heritage. As we read books about letters & numbers, shapes & colors, we also read stories about God. And just as we sang the familiar songs of childhood, so too did we end each day with the Shema. Even their names connect them to their Judaism. They were not given an English and a Hebrew name, but only a Hebrew name. 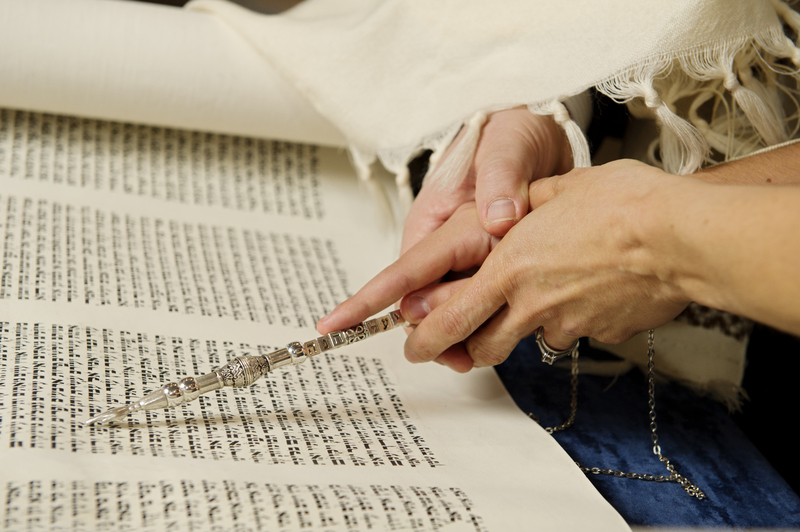 Faith has never been a separate piece of our lives, reserved for synagogue or holidays. It is woven throughout the tapestry of our days, a piece that is inherently and intimately bound to all other pieces. When Yael was diagnosed with autism, faith carried us through those early days of fear and angst. It continued to accompany us into a place of acceptance, strength and hope. 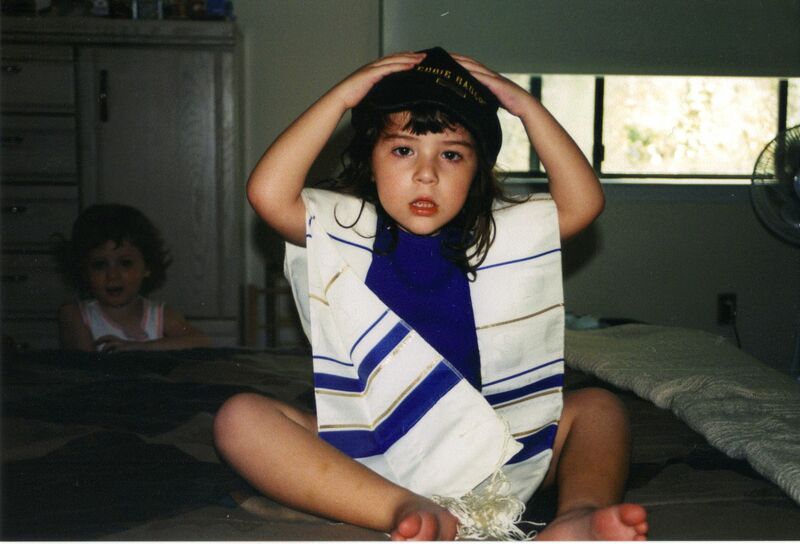 Yael has always loved being Jewish. She embraces her faith with incredible ease. I am often mystified by that. Autism means that she sees the world through such a literal lens, yet faith and God are anything but that. 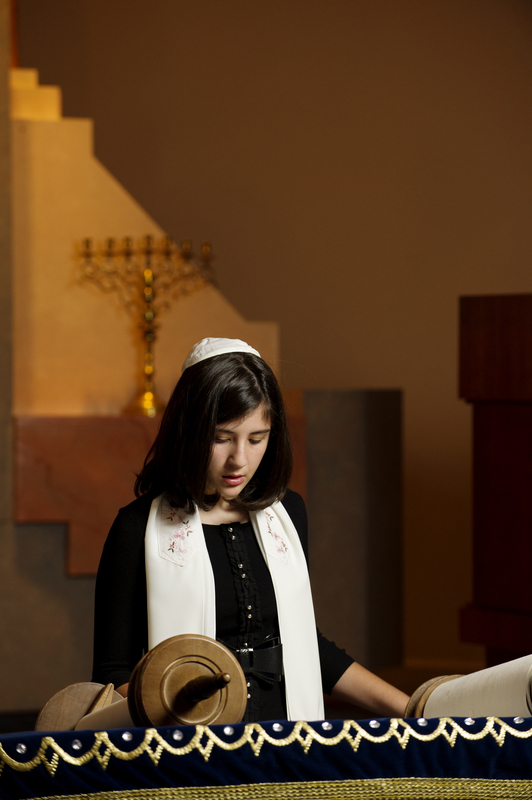 She loves to study Torah with her father, and when she sings at synagogue she does so with such feeling and an obvious sense of connection to the prayers and their meaning. When Yael was a very little girl, she stood in front of the mirror one day. It was an ordinary occurrence, the mirror seemed to be one of her favorite places to play. Her reflection made for a wonderful & entertaining playmate. At the time, though she had a fair amount of words, she tended to use more babble when she spoke. But, on this day, as she stood playing with her reflection she spoke her first complete sentence. Three words that have stayed with me until this day, “I see God.” My husband says that there is a Jewish teaching, that very young children are able to see angels – messengers of God. I believe that on that day, that is what Yael saw as she looked in the mirror. B’tzelem Elohim, she is created in the image of God and the divine spark lives within her. Every day for Yael and for our family, we live with “Jewish Disability Awareness.” Neither faith, nor autism, touch our lives for only one month of the year. It is a daily theme as we navigate life on the autism spectrum, as it is for so many families. It is with great pride that Yael will talk of her Judaism and her autism, and both have surely played a role in shaping the incredible young lady that she is today. They are intrinsically bound with Yael’s sense of self and each inhabits a piece of her soul. Judaism and the awareness of those who live with disabilities and challenges, should not exist as separate entities. It is not enough to bring them together for one month out of the year. I have heard from so many parents over the years about how isolated they feel. Those who most want to embrace their faith, who are often in the most need of spiritual comfort, often find those gateways inaccessible. And even when they are able to find a way inside, they often stand on the periphery, never truly feeling that they are a part of their Jewish community. They stand ready to make a quick exit the moment their child’s disability becomes “disruptive” to others and often, over time, they simply stop trying to return. In Pirkei Avot 2:5, we are taught “Do not separate yourself from the community.” But to feel that you don’t fit within your faith, that there is no room for you or your child, creates a profound sense of loneliness and loss. And, I believe that our Jewish community becomes weaker every time another family is asked to simply accept that loss. I recognize and respect the value in teaching about acceptance and diversity during Jewish Disability Awareness Month. I am grateful that the seeds of awareness and understanding are being planted in Jewish communities around the country. But it is not enough. To truly nurture the souls of those living with disabilities, we must begin to embody the Jewish values of inclusion each and every day. We must model it for our children and make it an inherent part of Jewish education. We must challenge ourselves to create a safe place for people with disabilities and their families, to worship and participate in our Jewish communal life. We must treat those living with disabilities not simply as guests who are welcomed once in a while, but as important members of our community, with something of value to contribute. Another great piece by my wife in recognition of National Disability Awareness Month. She shared this piece a few years ago…and, unfortunately, it is just as relevant today as it was then. I am grateful that the Jewish community is becoming more and more responsive, but we have a lot of work still to do.